"It gives you the insight you need"
"It optimizes all the content that I'm writing for readability"
"Atomic Reach has helped improve our blog readership over 50%"
Atomic Reach is easy to learn, ridiculously easy to use and helps me write better and more user-friendly content. We are a small company and our marketing department is 1-1/2 people. Atomic Reach is like having an extra marketing employee, without the headaches. It allows our small business to compete with larger companies. Before using Atomic Reach, I used to scratch my head and wonder, "Is this article good enough to publish? ", "What can I do better? ", "Will this article help me engage more readers?" Atomic reach answers all these questions with a score for each article I write. It saves me time, lets me know when the article is "good enough" to publish. Just as importantly, it lets me know when the article is "not good enough" and what areas it needs to be improved in. The best part is that Atomic Reach gives me a comparison to our own material and what articles have performed best for us. Nothing. Atomic Reach is like having an in-house editor. Although the AI is not human, it helps point us in the right direction with our web content. 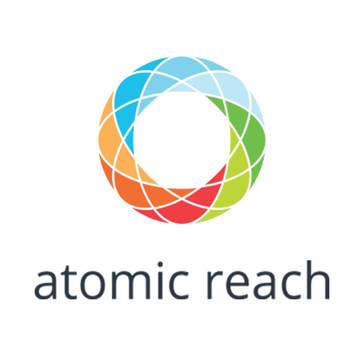 If you care about the quality of your web content, Atomic Reach is a great product to consider. Our blog readership now helps drive over 45% of our overall website visits. Using Atomic Reach, the quality of our articles is much better. Our blog viewership is up significantly and our bounce rate has reduced dramatically. I really like the tabs of ideas and recommendations that show the types of content that work best according to the feeling, the duration, the reading level and other things, Easy to use, easy to integrate the two programs, The platform provides data processable that can lead to higher performance content. I would like there to be more information about why the keywords appear that seem to be the best. In general, it would be great to have more SEO functions within the tool, I can not make evidence-based decisions if there are outliers like this that affect the data of my articles. It saves me a lot of time in the maintenance of blogs of several authors, since now they can correct most of their errors independently and my part is much easier. It also helps to keep all authors on the same page while maintaining the overall quality of the resource. "It's a good software to work with"
I love being able to post my stories and how to give tips to improve my article based on how my audiences have been previously involved with the articles, I also like the information tabs and recommendations that show the types of content that works best according to the feeling, the duration, the level of reading and other things. I love that Atomic helps me figure out the content I should be focused on and the best way to get it out there. I also enjoy that I can recycle past content and use it to get suggestions for new things I should focus on. A little bit complex to set up, you need to really set aside time to do it right. Make it easier / faster to pull in account data. I'd love to be able to pick and choose more specifically as to which content gets pulled in from my linked accounts. Take advantage of the onboarding session! Can save a lot of time and help you make sure you're maximizing usage. Consider your own business use case - there are cheaper solutions if you're not as focused on an enterprise-level approach to content marketing, but if you truly want to be doing full scale content marketing, Atomic is the place to be! Content planning streamlined for me, which is critical, because as a SMBO I need to be able to focus on revenue driving tasks. 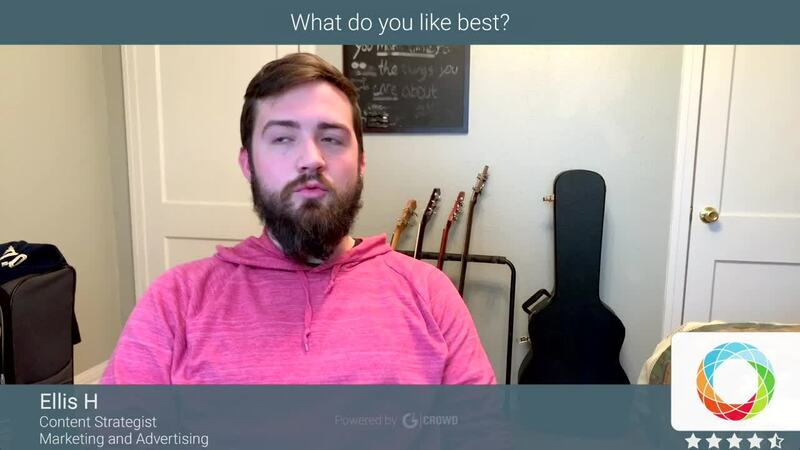 "Taking the guess work out of Content Marketing"
Great UI and easy to learn, we were up and running with amazing insights in a matter of hours. The insights we found help us to speak clearly to our target audience. It continually takes into consideration customer reviews and makes the system easier to use. The integration to HubSpot could get more granular to find insight into specific emails or campaigns. We can automate our content creation and create a more effective brand voice across multiple authors. We have seen a drastic increase in blog conversion and traffic due to understanding what our viewers prefer. Atomic Reach is a great way to take the temperature of your current content and find ways to improve it. The editor allows you to analyze drafts of content before you post it so you have an idea of how successful it will be, and how to change it to become more successful. The grammar tool is nowhere near as good as an actual editor, and the thesaurus suggestions are often almost funny in how inaccurate they are. It's understandable that AI can't determine the context of a given word, but many of the suggestions are still way off. Give it a shot! There's very little to lose and the platform is very user friendly. If you are struggling with creating consistent content that works towards achieving your business' goals, Atomic Reach is a great start. "Atomic Reach very good tool"
Atomic Reach is ideal for finding content such as title structure, number of paragraphs, language style, among others. Atomic Reach helps you find patterns in how I've written the content to improve it over time. I like AI's information about the best moments to publish. "Atomic ai has helped me quite a bit"
"Great solution for multi-author blog editors"
Quality and style are two very subjective concepts: It's hard to explain to the contributor why his/her articles doesn't fit the tone of the blog or why it's not complying with the quality standards. Even a most sophisticated rubric systems don't provide a clear enough assessment of such a creative work as writing. This is why I was so happy to discover Atomic Reach Wordpress Plugin (which is also free!) that forces authors to comply. It scores readability, expertise, emotion, etc. It also performs a free spelling check and crawls all the links to make sure they all work. It is an amazing functionality you can get for free! I'd love to see more tiers in the PRO feature set. Right now the entry level is too expensive (~$200 per month) which I think is more than an average content writer or editor can afford. I am happy of they introduce a limited edition but the one which would be more affordable. The free version of the tool is very solid: There's nothing preventing you from trying it. They also have a free Wordpress Plugin and a free Google Chrome extension - both are awesome! "Lots of great analytics to optimize content and sharing"
I love how the software analyses my article content, rate it on the readability level and compare it to pageviews and what type and how advanced of content our visitors are reading. This has opened my eyes into who is using our site and for what purposes. Although the tools work great with marketing automation platform analytics, the cost of the software is out of reach for many smaller companies. If you can afford it, it is a great analytics tool of content that seems to be better than others on the market today. Analyzing website content readability, social sharing impact and scheduling, and helping figure out which content to re purpose for various readability levels. "Love Atomic Reach for my professional writing"
I sometimes have a hard time finding stuff I've already written. A fun way to sharpen up your writing skills. It is great to have suggestions for content that I would typically not consider. The results are paying off. There is a bit of a lag when making changes to content. Fine tuning our content/blog efforts to attract the correct crowd and have a better rank. "Powerful Content Creation AI Tool"
Ability to grade your content, see suggested improvements, and make those improvements. There's not a good explanation on how the scores are gathered and the authority behind them. Creating content at the level that our readers prefer, using data-driven science to back this creation. 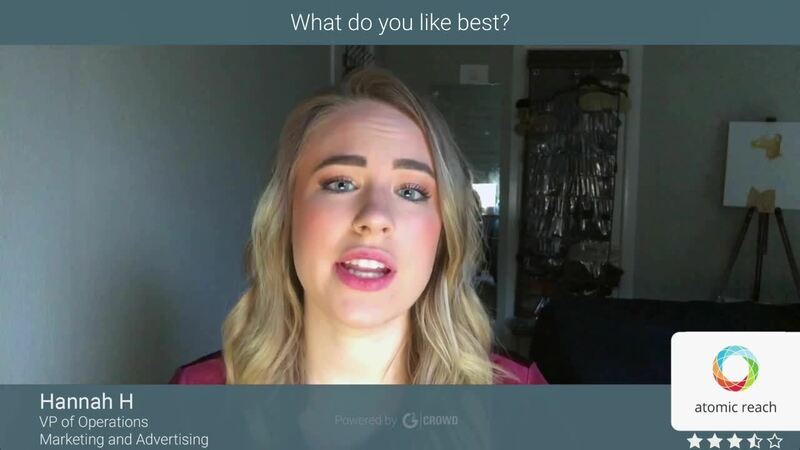 "Atomic Reach Takes The Pain Out Of Content Writing"
Atomic Reach shows us with statistics and instant answers which blog posts reach our target audience and why. A bit of a learning curve; however their support is top notch. Better blogs, posts and website content helping us reach our target audience. "Very cool tool, but needs to be simplified"
It's a little scattered when it comes to what it's trying to do (content analysis, social media optimization, etc.) which makes it hard to know if you're taking full advantage of the toolset. Understand how much marketing you do to make sure that you'll get the most out of the tool. If you aren't publishing a lot then it's probably not work your time. It helps us be better marketeres when it comes to understanding what level of content that we're creating is actually driving engagement as well as when we should consider posting for social media. "Puts Science Behind an Art"
I love that I can paste in my stories and it will tell me actionable things to do to improve my article based upon how my audiences have previously engaged with articles. I also really like the insights and recommendations tabs that show you the types of content that works best based upon sentiment, length, reading level and other things. I wish there was more insight into why the keywords that are appearing to be the best keywords are appearing. In general it would be cool to have more SEO features inside the tool. They are still really small so they have great support and product teams that will listen to recommendations on improving the tool. great idea and product for a company with limited social account, having multi user accounts does not currently work well in this setting. "Fantastic Concept, But Has Few Statistical Kinks"
The platform provides actionable data that can lead to higher performing content. There is no way to segment the information. For example, if one article gets a large amount of organic traffic through Google, then the data is skewed. That one article will appear to perform better on the platform when in reality it's just ranking well in Google. I can't make any evidence-based decisions if there are outliers like this affecting the data of my articles. How to optimize my copy and content. "Cool product, not sure we are ready yet." I really like the way it analyzes all the information on the blog posts and gives you insight into what works for your audience in terms of length and tone, among other things. It's still in early stages so it felt a little clunky and the progress of integrating different social sites seemed like it was constantly loading. If we have a lot of content (which we will eventually) we would use Atomic AI to better understand how our content can perform with new and existing audiences. Very cool. What and where to publish. I found that I was not publishing at key times and found better times to do so. Everything in one package makes it easy to access tools needed when you need it. Automation of tasks needed to keep my sites relevant and seen. not really much - confusing interface, clunky. * We monitor all Atomic Reach reviews to prevent fraudulent reviews and keep review quality high. We do not post reviews by company employees or direct competitors. Validated reviews require the user to submit a screenshot of the product containing their user ID, in order to verify a user is an actual user of the product. Hi there! Are you looking to implement a solution like Atomic Reach?